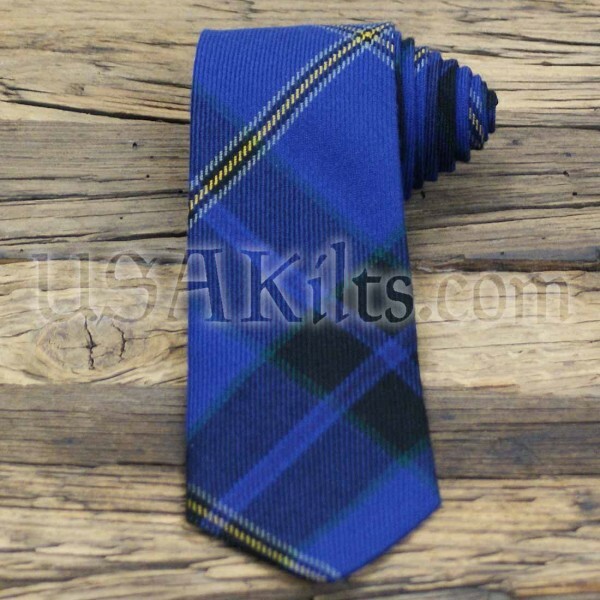 This tie is made from the same tartan material as our Law Enforcement Officer's Memorial Tartan kilts. They are 100% wool and made in Scotland. Quality product, attentive staff James F.
I purchased several law enforcement ties for my teammates. When placing the order the staff was very helpful and knowledgeable about the tie and the meaning of the tartan. The ties are beautiful; the colors are rich and the symbolism very meaningful. 100% wool, made in Scotland at the House of Tartan. This product is generally kept in stock and is available for immediate shipment.